Home > KMS, MapleStory 2	> MapleStory 2 Character Voice Recording & Flame Wizard and Night Walker Videos! MapleStory 2 Character Voice Recording & Flame Wizard and Night Walker Videos! Hey guys, I know I haven’t posted in a while but today they released a cool new video, showing voice actors recording their lines for MapleStory 2! It seems like a lot of NPCs will have voices in this game, exciting! There’s also another teaser, and a tiny bit more information. I’ll also use this post to show you guys some videos I’m uploading for the updated Flame Wizard and Night Walker classes, which I know other versions are getting soon! 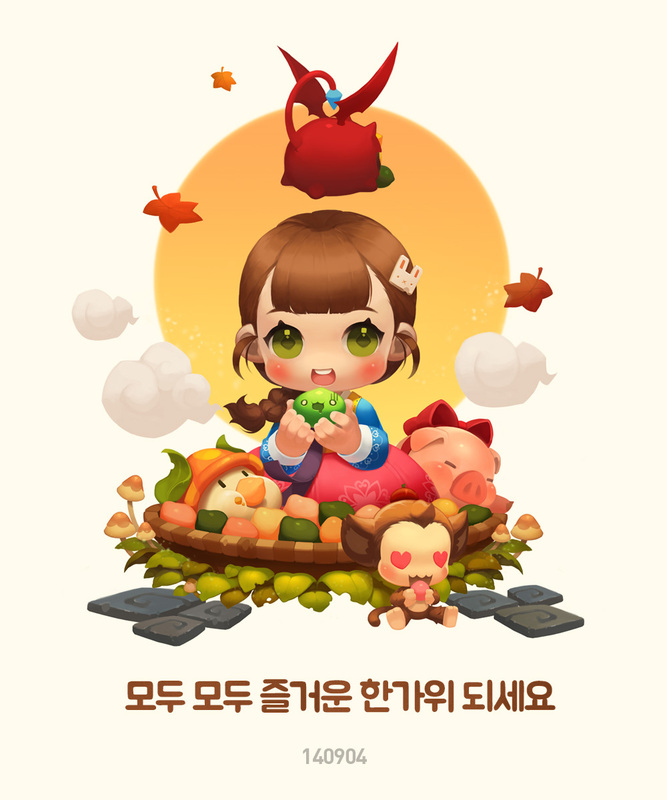 Everyone have a good Chuseok! On the website, the GMs have stated that users chosen to be testers for the upcoming Alpha test will be able to pre-install MapleStory 2 on September 15, so they’re ready to go when it goes live on September 17! Next up, like I said before, I know the updated Flame Wizard and Night Walker should be coming soon to other versions. For those of you who have not done so already, you can see the updated Flame Wizard and Night Walker skills here. I want to share with you guys some videos I have uploaded on my channel! Continue to check back as I am currently uploading a few more that I have found! Max, sorry if its not related. But do you feel bm is much stronger after last job balancing or weaker? Im planning to main bm. Thanks for the reply. One more question, is the new 40% dmg from extreme archery additive to %boss, % dmg or seperate multiplier? Out of topic but Max, will you play the new Super Smash Bros? and good luck with the Alpha. I probably won’t buy the 3DS version but I will definitely be picking up the Wii U one! Ah okay. Give the demo a try it’s actually pretty good. comes out the 19. In other news did you get to be a tester in the alpha???? Can’t wait to know. I can’t wait to test the new BW skills. Can’t wait for the last two Cygnus Knight Classes to come out.